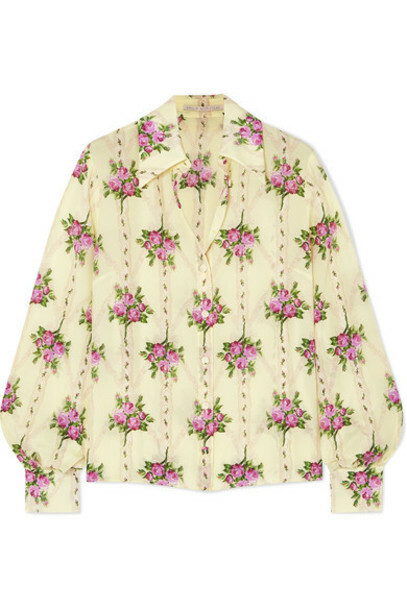 If you're wondering what to wear to those upcoming garden parties this summer, Emilia Wickstead's shirt is just the ticket. It's made from silk crepe de chine printed with painterly blooms and has an exaggerated collar. Wear yours buttoned all the way up with the matching skirt. Kenzo Yellow Fluo Shirt With Contrasting Multicolor Pattern.